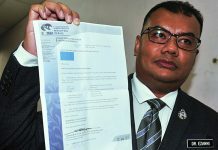 JOHOR BAHRU: Another chemical waste dumping ground has been found along the Johor Bahru-bound Pasir Gudang Highway near Sungai Masai here. Reporters saw waste disposal works being carried out by two heavy machines today. More than 10 blue barrels were stacked by the roadside along the highway. Several workers using personal protective equipment and wearing protective clothing were present at the site. As reporters approached, the workers in orange safety apparel stopped them from taking photographs and coming near. The site is about 18km to 20km from where chemical waste was dumped into Sungai Kim Kim in Pasir Gudang. 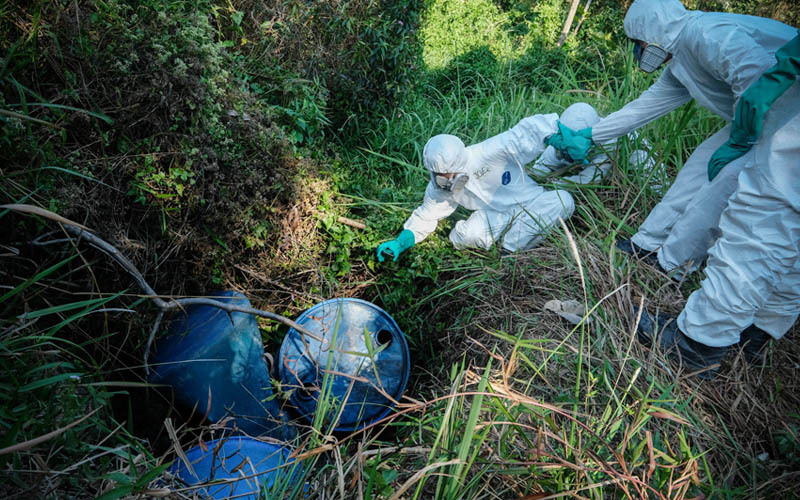 Photographs of workers in protective gear have gone viral on social media since yesterday evening, when several blue barrels of chemical effluents were found near Sungai Sembilang, about 2km from Sungai Kim Kim. 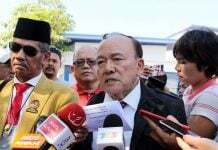 The site is about 500m from SMK Tanjung Puteri Resort, one of the 111 schools in the district that have remained shut following the contamination of Sungai Kim Kim. Energy, Science, Technology, Environment and Climate Change Minister Yeo Bee Yin has since declared the 1.5km polluted stretch of the river “safe” following a round-the-clock clean-up operation, but monitoring will be carried out for 15 days.